Winter has arrived, and Northeast Pennsylvania is experiencing snow, ice and freezing temperatures. This past weekend, Winter Storm Harper swept through the state and other parts of the Northeast, dumping 1 to 2 feet of snow and killing 10 people. More than 23,000 Pennsylvania residents don’t have electricity, and more ice and snow are expected to affect the state throughout the month. With more dangerous weather on the way, it’s crucial that Northeast Pennsylvania residents understand how to stay safe. 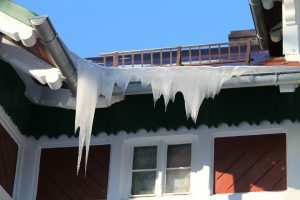 Our Wilkes-Barre personal injury law firm has compiled helpful tips that may improve your safety and protect your property during harsh winter weather. Upgrade your windows and doors. If you have old and worn-down windows and doors in your home, you could experience cold drafts that may affect your family’s health and increase your electricity bills. Invest in a storm door and double or triple-pane windows. Check your insulation. Quality insulation can help reduce drafts and cut down on your heating expenses. If you have an older home and you notice your heating is not working, then check your insulation and replace it if needed. Take care of your fireplace and chimney. Over time, the wood rack in your fireplace can become misshapen from the heat. It’s important that you buy a new rack once you notice this. Also, don’t forget to close the flute so heat doesn’t escape. Check for any cracked bricks along your chimney. Keep walkways clear. Deadly accidents can occur if you or a guest slip on the walkway due to ice or snow. Make sure to shovel the snow near your house and use salt to create some friction on iced-over steps and sidewalks. Protect outdoor furniture. Make sure you bring any chairs and tables indoors before heavy snow, ice or strong winds occur. These weather conditions can damage your outdoor furniture. The Wilkes-Barre personal injury lawyers at O’Donnell Law Offices want to make sure you have a safe winter. Our firm offers free consultations for car accidents, truck accidents and slip and fall cases, so call us today if you are injured during this winter season due to icy or snowy weather conditions. Don’t forget to follow us on Facebook for further updates on the winter weather in your area.